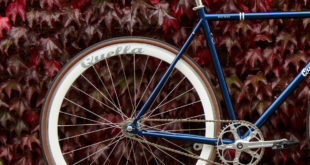 Home / Community / Looking for a job in the bike business? Looking for a job in the bike business? If you’re local to Scottish distributor Hotlines, this sales and technical support role could be ideal for you. At the other end of the UK, if you’re a mechanic seeking work around the London, look no further. Berkshire’s Stows Cycles is looking for salesman, who will also need the skills to PDI a bike, to join its stores in Slough and Windsor. If you’ve prior experience with brand management, Hertfordshire-based Fisher Outdoors is seeking someone like you. Alternatively, and sticking with Fisher, there’s a warranty and service technician role going spare, for which you can apply here. UK manufacturing success story Brompton still has two vacancies on its production line, one requiring the skills of a brazer. Cambridgeshire County Council has a live tender for BikeAbility training in the region, which can be applied for here. There’s plenty more on offer too, so if you’re seeking work, see here.